Happily ever after is not by chance. Award-winning marriage researchers and bestselling authors Drs. 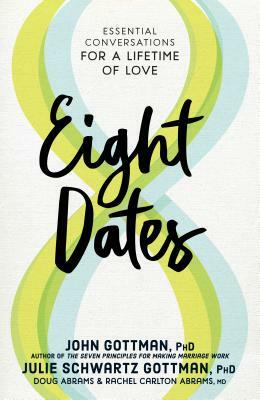 John and Julie Schwartz Gottman, co-authors of Eight Dates: Essential Conversations for a Lifetime of Love (Workman) contend that lifelong happiness happens by choice—the choice each person in a relationship makes to remain open, remain curious, and, most of all, to keep talking to one another. The Gottmans appear tonight in conversation with KUOW’s Bill Radke, host of The Record and Week In Review. 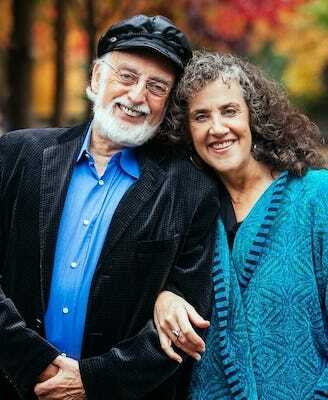 Dr. John Gottman is renowned worldwide for his work on marital stability and divorce prediction. He has conducted 40 years of breakthrough research with thousands of couples, and his work on marriage and parenting has earned him numerous awards, including four National Institute of Mental Health Research Scientist Awards, the American Association for Marriage and Family Therapy Distinguished Research Scientist Award, and many more. Dr. Julie Gottman is the co-founder and President of the Gottman Institute, and Clinical Supervisor for the Couples Together Against Violence study. She is a highly respected clinical psychologist, and she is sought after internationally by media organizations as an expert adviser on marriage, parenting, gay and lesbian adoption, domestic violence, and many other topics. She is the author or co-author of five books, and was named Washington State Psychologist of the Year in 2002. Co-presented with TOWN HALL SEATTLE.